Careers With Us – Eastern Shore Rural Health System, Inc. Rural Health has much to offer our employees in addition to competitive salaries. Our excellent benefits package includes health and dental insurance, 403(B) matching program, seven paid holidays, 16 accrued annual days and 11 accrued sick days. Employees get an extra five accrued days after 5 years and again at 10 years. Listed below are current openings, organized by clinical and non-clinical positions. Please contact Jeannette Edwards, chief human resources officer, at the address below for more information such as job descriptions and information on our excellent benefits package, or call 757-414-0400 ext. 1112. 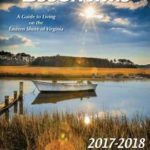 To learn more about the Eastern Shore of Virginia, see the current Essentials magazine by clicking on the cover. If you are a mission driven person looking to make a difference, please consider a career with us. The document is a fillable document which can be saved to your computer, then emailed. Please note that in order to save the PDF file you must open it in Adobe Acrobat Reader. Some modern browsers such as Chrome and Firefox open the file directly in their own PDF viewer and will not allow you to save the file. Please right-click and “Save As..” the file to your computer before opening it to ensure that the Adobe Acrobat Reader opens the file. 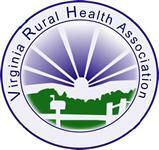 Please download a copy of the Rural Health Employment Application and return to: dhr@esrh.org. Resumes may also be attached but will not be considered without a completed job application form. Rural Health does not accept mailed or faxed applications. If you are having technical difficulties, please call Michelle at 757-414-0400 ext. 1101. If a reasonable accommodation is needed for the interview process, please contact Jeannette Edwards by calling 757-414-0400 ext. 1112 or email jedwards@esrh.org. We are an Equal Opportunity Employer. Applications must be electronically postmarked by the date specified or they cannot be accepted! Rural Health always accepts applications for Center Nurses and Dental Assistants. These will be kept on file for 90 days. Must have a valid Virginia license. Must be Board eligible or Board certified in family practice. If Board eligible, must meet certification requirements within three (3) years of completing residency training program or within three (3) years of employment with ESRHS if previously employed, or within three (3) years of adoption of the revision of this job description if hired before its inception. Must adhere to guidelines of given primary care specialty for meeting recertification requirements. Must meet annual primary care specialty continuing education medical education requirements (or those set forth by the AMA) and report these assurances to clinical director and clinical coordinator. Must maintain current Licensure and DEA certification with reimbursement for these through ESRHS. Provider must maintain updated copies of all of their licensures, certification and CME. 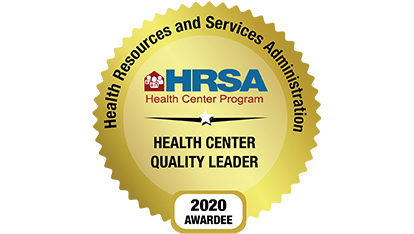 Responsible for planning, organizing and implementing clinical programs and activities, supervising and assisting in training of clinical professionals, ability to work well in a leadership role with a cooperative effort with diverse groups of health professionals and center staff; ability to work independently and to make appropriate clinical decisions which reflect professional strength, confidence and integrity. Must be able to lift, carry and handle equipment, supplies needed in routine and emergency care, and other worksite materials based on position description requirements. To apply, email CV to dhr@esrh.org. Current certification as a Registered Nurse, Licensed Practical Nurse or Medical Assistant is required. Prefer experience in a medical setting. Individual must be energetic, flexible and self-motivated with strong attention to detail, communication, teamwork, customer service and computer skills. This position also requires a person with the ability to use clinical assessment skills and perception to determine the needs of the patient while working with the medical provider. Ability to provide bilingual patient care is a plus. If you are a mission-driven person looking to make a difference, email an application to dhr@esrh.org. Applications can be obtained from www.esrh.org. Resumes may accompany the application but will not be considered if sent alone. Help keep our community smiling brightly! Must be a high school graduate or equivalent with dental assistant training or experience. Requires the ability to perform four handed dental assistance and the ability to work well with children. Individual must be energetic, flexible and self-motivated with strong attention to detail, communication, teamwork, customer service and computer skills. The position also requires a person with the ability to use clinical assessment and perception to determine the needs of the patient while working with the dental provider. Ability to provide bilingual patient care is a plus. There are no non-clinical openings at this time. ESRHS does not accept applications for non-clinical openings unless there is an advertised job posting.